Each one of these lovely Apophyllite Points are wonderful ! Really nice clarity and a great shape. You'll be happy with any of these - they really are all lovely ! By the way, you can easily tell Apophyllite apart from Quartz by simply counting the sides of the point. Quartz always has 6 sides to each point and Apophyllite always has 4 sides to each point ! Clear Apophyllite is good for treating respiratory problems, particularly asthma. It stimulates the regeneration of the skin, mucous membranes and nerves and can help those who suffer from allergies. 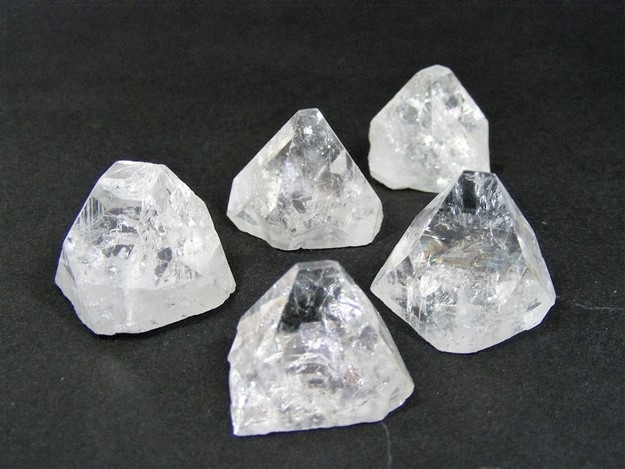 Clear Apophylite encourages us to be introspective, to look more closely at our own behaviour. It is a calming crystal, helping us to overcome worry, insecurity, anxiety and fear and allowing us to understand that we can cope with some levels of uncertainty. Clear Apophyllite also helps us to reduce our feelings of desire or wanting things all the time. It helps us to overcome mental blocks and show our true selves to the world. Clear Apophylite is a great aid in establishing connections with the spiritual realms and with higher dimensions. It promotes spiritual visions and is an excellent crystal for scrying as it promotes clear sight. 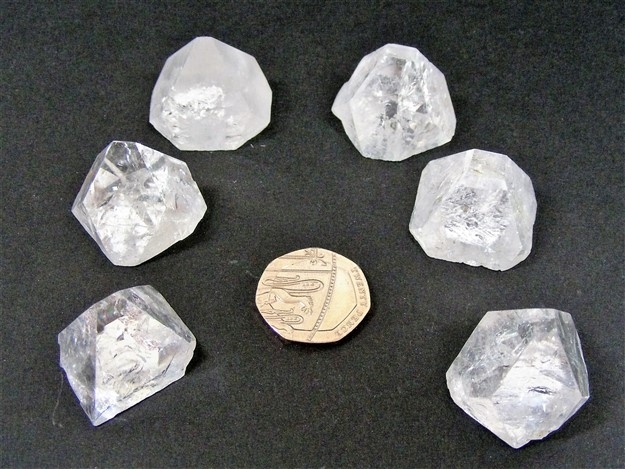 A superb crystal for astral travel, Clear Apophylite also enables us to travel beyond the normal awareness of space and time and can also facilitate access to the Akashic Records.